Ideal for intermediate and more confident learners of English looking to improve or practise their English. The book is filled with useful vocabulary that is carefully graded and easy to understand, it also comes with audio, so that you can listen to the story at the same time as reading. Dartmoor. A wild, wet place in the south-west of England. A place where it is easy to get lost, and to fall into the soft green earth which can pull the strongest man down to his death.A man is running for his life. Behind him comes an enormous dog – a dog from his worst dreams, a dog from hell. 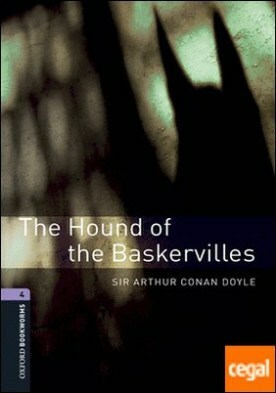 Between him and a terrible death stands only one person – the greatest detective of all time, Sherlock Holmes.